Our cost effective products include soaps and a veriety of cleaners and disinfectants for floor and carpet care. In addition, we have a variety of laundry products, specialty chemical products and dispensing accessories. CSI prices include delivery throughout Nebraska. 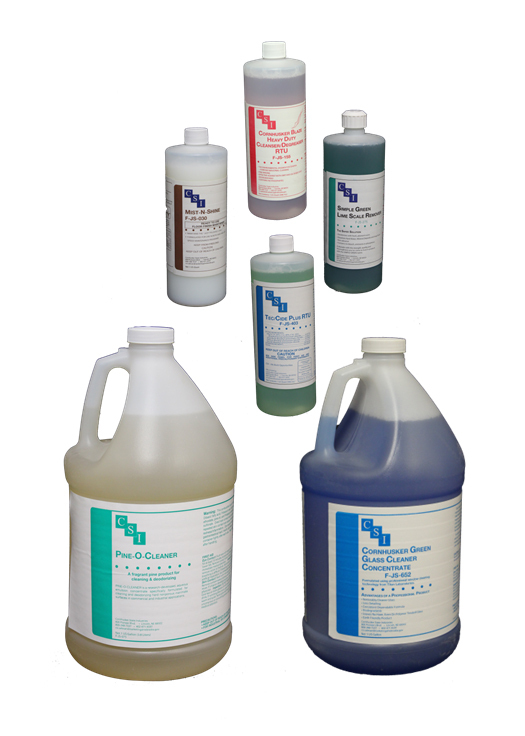 Most Janitorial and Soap Products are IN-STOCK ITEMS, available for quick delivery. F-JS-283 Bath Soap (Unwrapped Bars): These three (3) ounce white bars are packed economically in cases of 200.